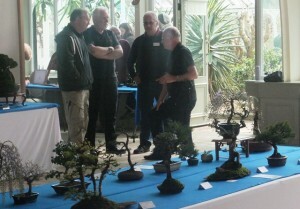 Once again, the Birmingham Botanical Gardens was the venue for the South Staffs Bonsai Society Annual Show. 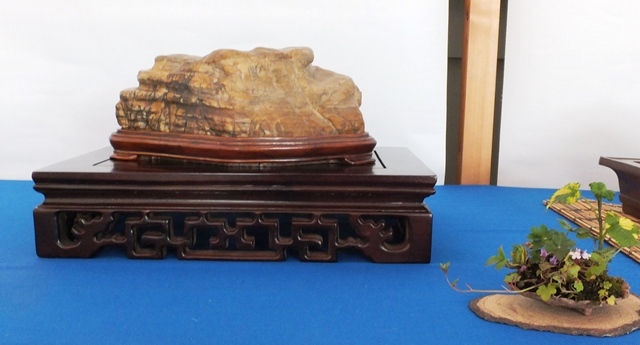 This year, the Society was delighted to welcome, as participants, members of the Stourbridge Bonsai Society. 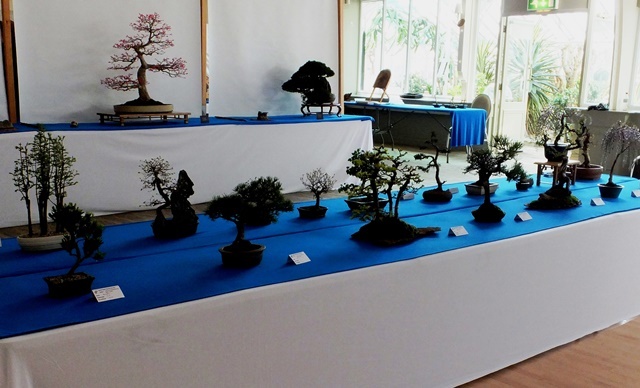 Both societies put on impressive displays. 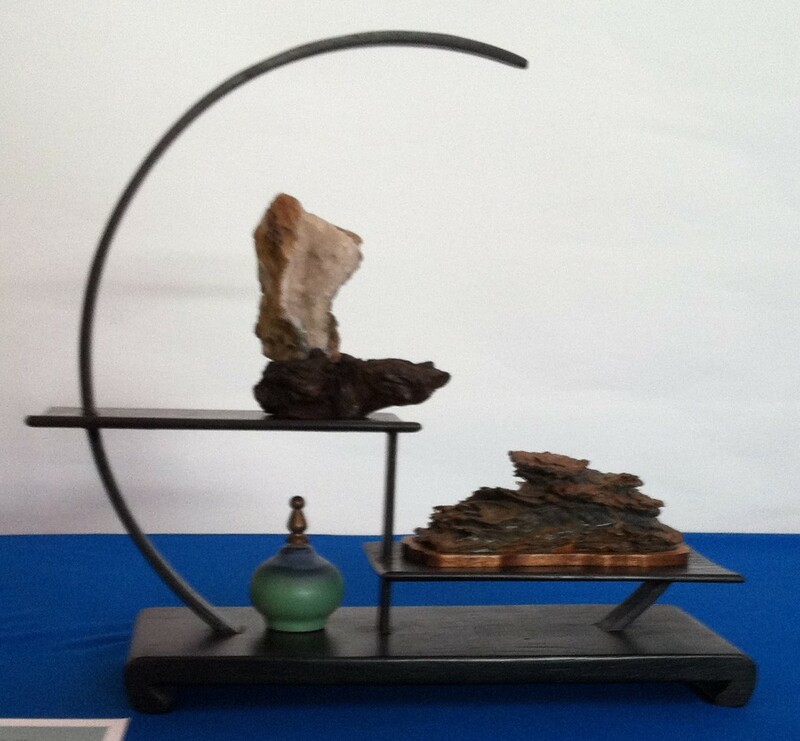 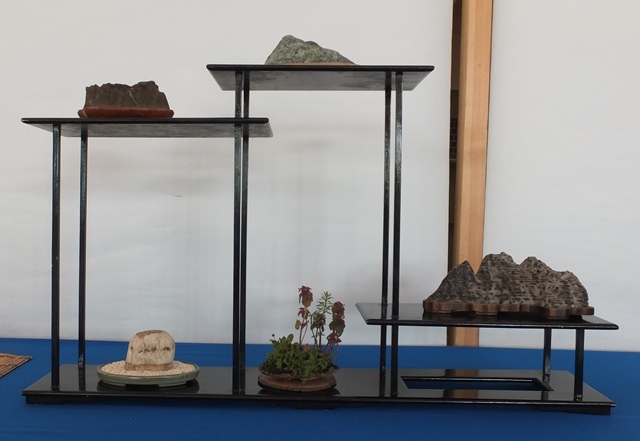 Also invited were Mark and Ming Moreland who, together with Kath Hughes mounted a display of viewing stones. 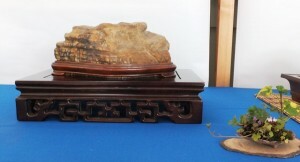 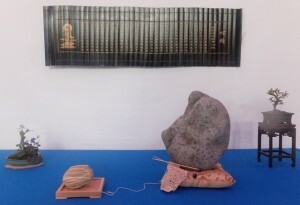 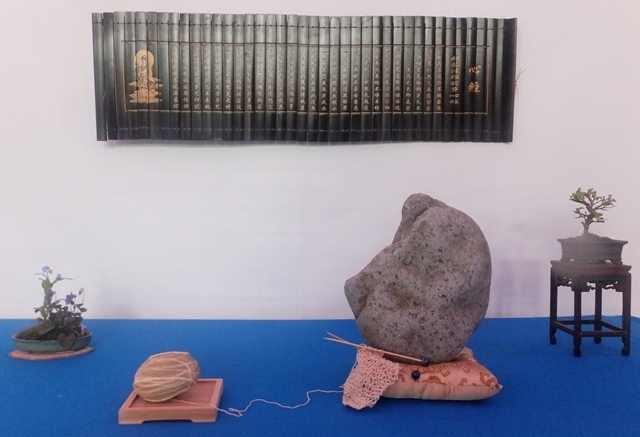 This was the first occasion that viewing stones or suiseki in Japanese,had been displayed at this event and it generated considerable interest. 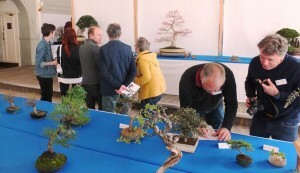 The Show was well attended, drawing interest from members of the public. 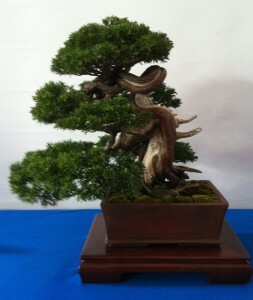 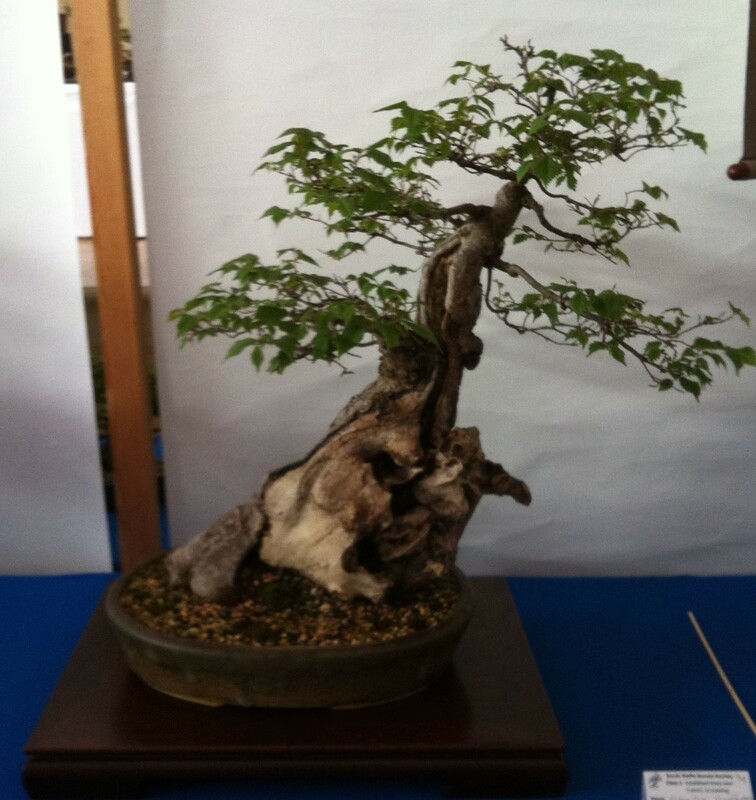 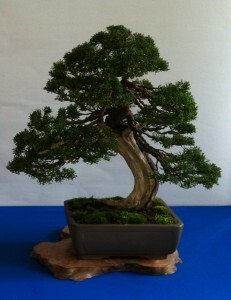 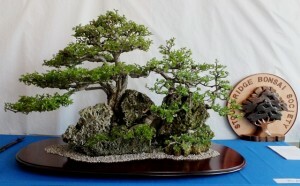 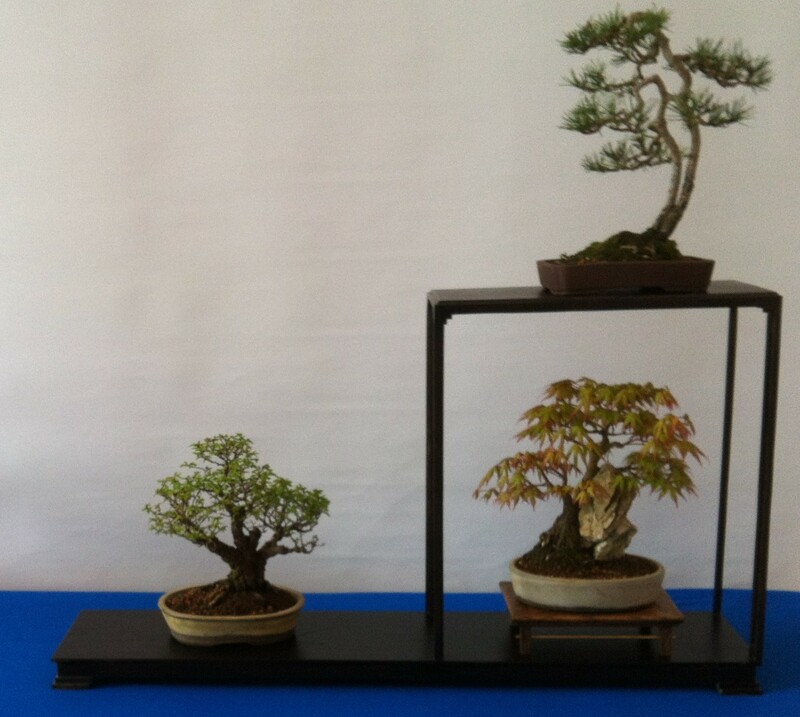 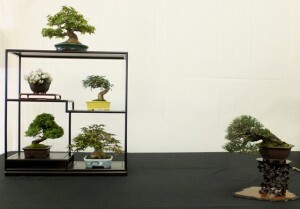 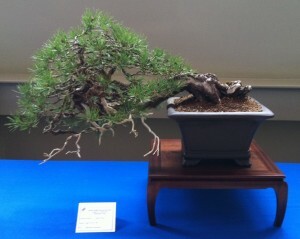 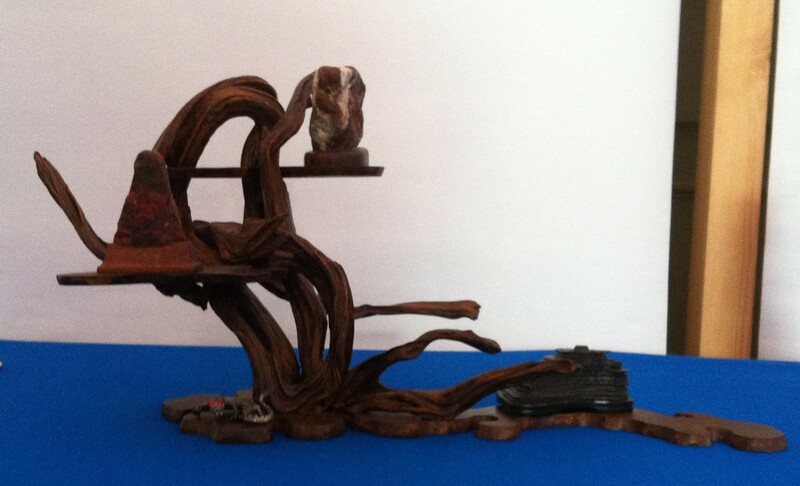 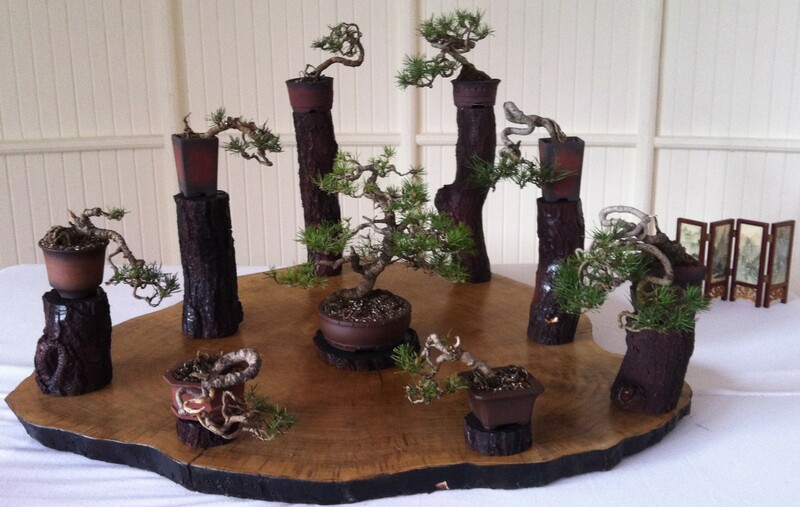 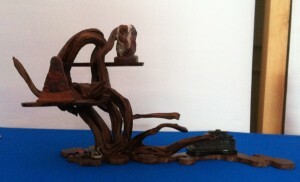 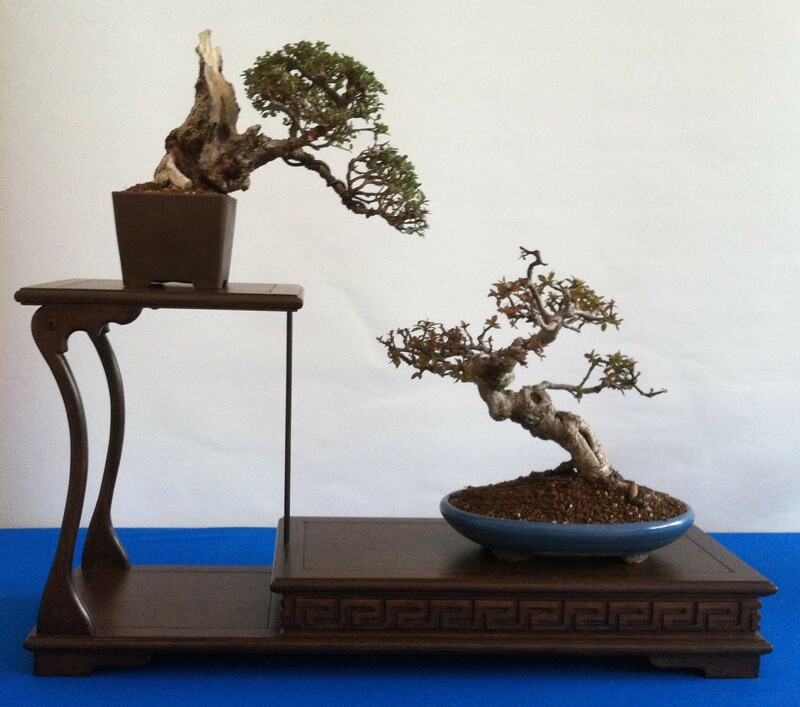 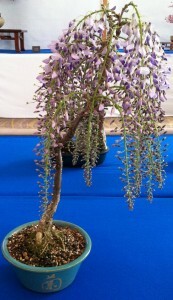 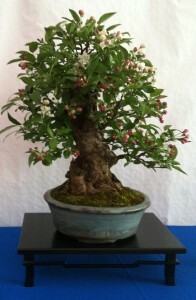 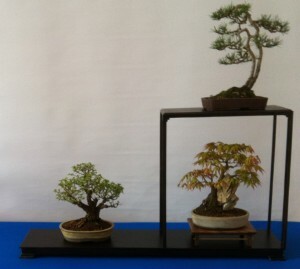 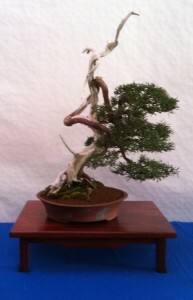 There was a diverse range of trees displayed, accompanied by accent plants or other items to compliment the bonsai. The Stourbridge Society put on a display of fifteen trees whilst the South Staffs group had a range of trees for competition, ranging from those up to 5 years in training, trees over 5 years. 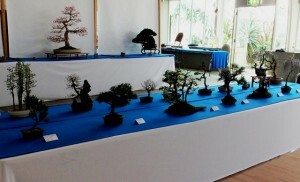 Also they displayed a non-competitive class of trees for exhibition only. 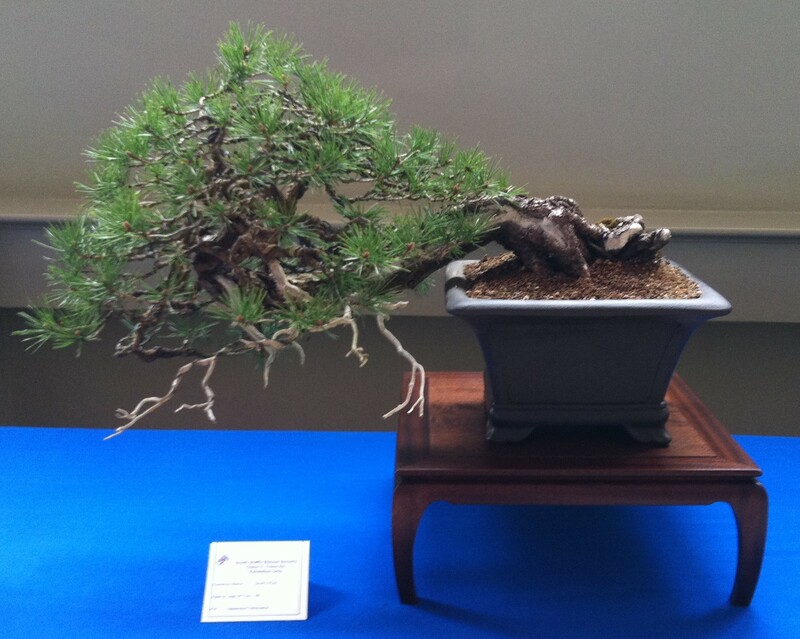 Best tree under 5 years: awarded to Malcolm Hughes – Scots pine. 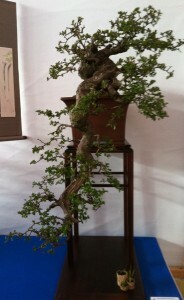 This proved a most successful and enjoyable day. Our thanks go to all those who participated and special thanks to the members of the Stourbridge Bonsai Society who not only put in a wonderful display of bonsai, but who also assisted in putting up the Show and also to Mark and Ming Moreland for their impressive display of viewing stones. An assortment of the many trees and stones exhibited. 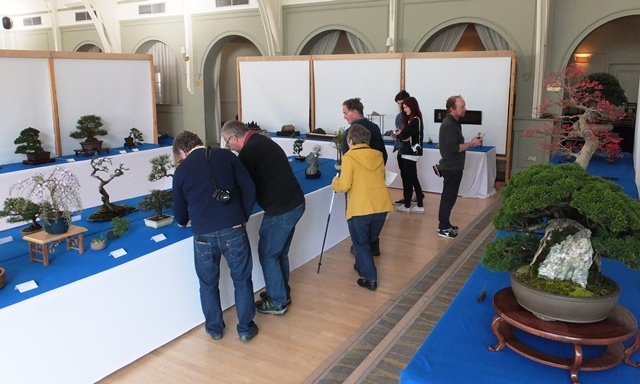 Many thanks to all those who gave their time to preparing and displaying their trees and stones and a special thank you to those who helped on the day, setting up and manning the displays.